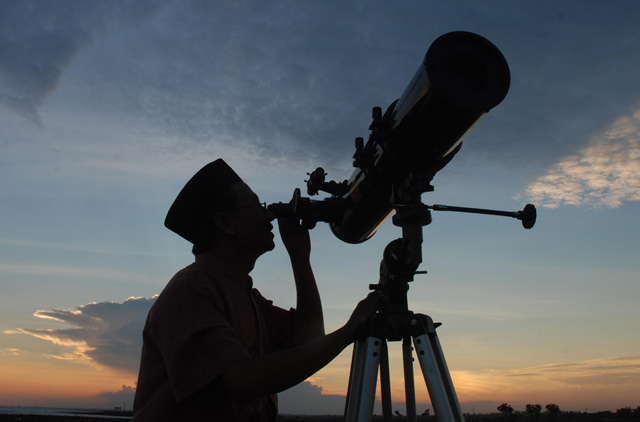 Manama: The fasting month of Ramadan will start on Monday May 6, a Kuwaiti astronomer has said. Adel Al Saadoon said the crescent marking the start of the month venerated by Muslims would be easily visible on Sunday May 5. "It can be sighted easily without the need for a powerful telescope," he added. "The month of Ramadan will last 29 days this year." Ramadan is the ninth month of the 12-month lunar-based Islamic calendar followed by Muslims. Months last 29 or 30 days depending on the sighting of the crescent for a total of 354 days in the year. Throughout Ramadan, adult Muslims abstain from eating, drinking, smoking and engaging in sensual pleasures from sunrise to sunset and focus on their spiritual relationship with God and on charitable deeds. However, fasting is undesirable for those who are on a journey, the sick, pregnant women and nursing mothers. At the end of the month, Muslims celebrate Eid Al Fitr, a religious feast marked by all Muslims in which children are offered gifts or money. The sighting of Ramadan crescent has often been a point of debate among Muslims, resulting in countries announcing the start and end of Ramadan on different days. The clash is mainly between conservatives who insist on seeing the crescent with the naked eye, in line with a literal interpretation of Islamic principles. Such a view is in contrast with that held by those who call for the use of astronomical calculations to predict the start of the month. For the naked-eye sightings, varying geographical and weather conditions meant that people in different locations could not see the appearance of the crescent, resulting in Muslims around the world starting their fast on different days. However, the strict interpretation of the visibility stipulation is increasingly becoming a source of national and social divisions, defeating the call for unity preached by Islam, mainly during the sacred month.